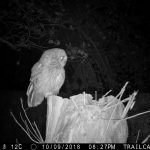 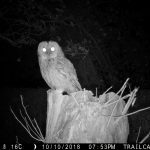 This is our young tawny owl, caught on my trail cam. 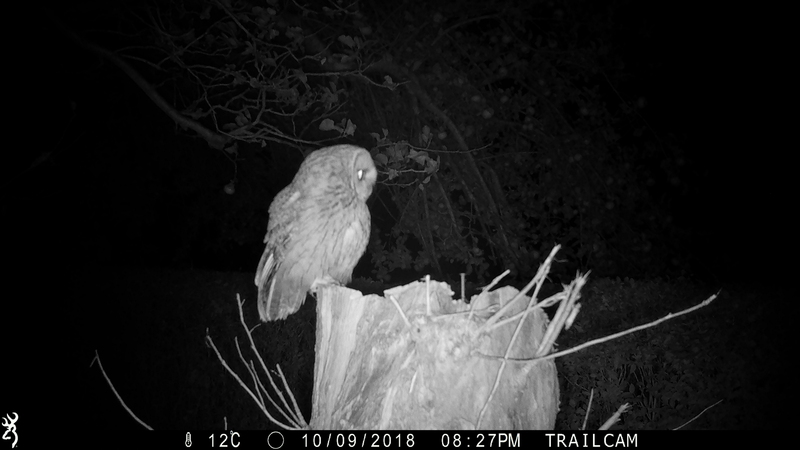 Born in our nest box he/she visits the garden every night and I have it on trailcam video taking my gift of a day old chick and then returning to the apple tree stump with a freshly caught mouse. 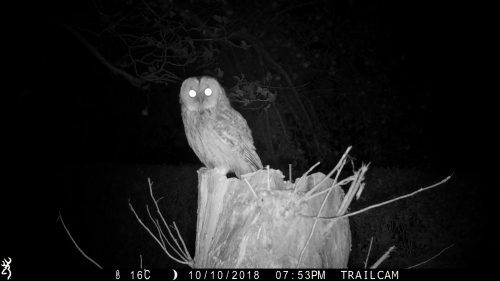 He (we’ll call him ‘he’ for ease of writing) has visited the tree stump three or four times per night, even as early as 7.30pm so, when I get the time, I might set up an SLR to try and capture some better shots. 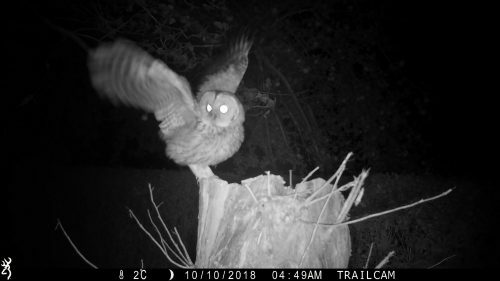 Its great to see him still around since I thought by now his parents would be sending him to find his own territory. My trailcam is more or less a permanent fixture on the tree so I’ll keep on monitoring his progress.